The Malcolm Montage: Happy 5th Birthday Henry! 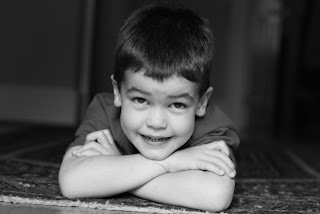 It's hard to believe that just 5 years ago today, Henry looked like this. . . .
Now, he has grown into a bright, funny, and creative little boy who we are SO proud of! Happy Birthday Henry! We love you very much!